Can you believe it? We have officially made it through the first month of the New Year! January came and went so quickly my head is still spinning. It is onto February, which I am amped up about because it is one step closer to warmer temperatures! Living in Wisconsin means we have the rough, absurdly cold February and then it should start to warm up. Hopefully! I also love February because it is the month of love, Valentines day! Contrary to what people (ahem, my husband) think of the holiday, it is not made up by Hallmark. Even if it is I love the tradition behind it, a day we get to stop and reflect on the love’s in our life. Also making it a priority to let those people know how amazing they are. That my friends is a reason to celebrate! I tend to generalize Valentines day into more than just a romantic love, it can be parental love, sibling love (all not in creepy ways), friend love. We always try to get the kids involved in this day of love. This year I got the whole family crafty with a Family love tree, a simple Valentines day craft. I have already kicked off the Valentines decorating a little bit, I do not go all out for this holiday. Just tiny and sweet touches to help my kids get into the spirit of the holiday. 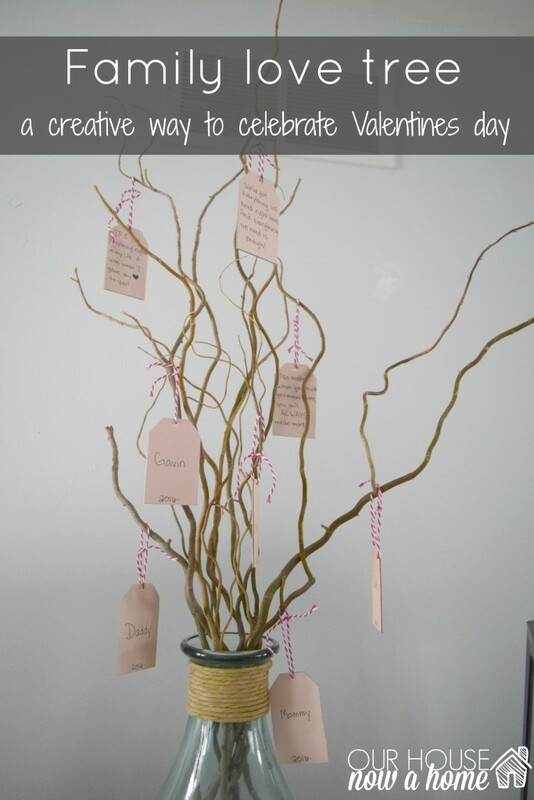 Last year around Thanksgiving I created a Family thankful tree and we all loved the tradition of being thankful. It was a great conversation with my kids on what it means to be thankful. I decided to elaborate on this tradition and used Valentines day as the jumping off point for a Family love tree. 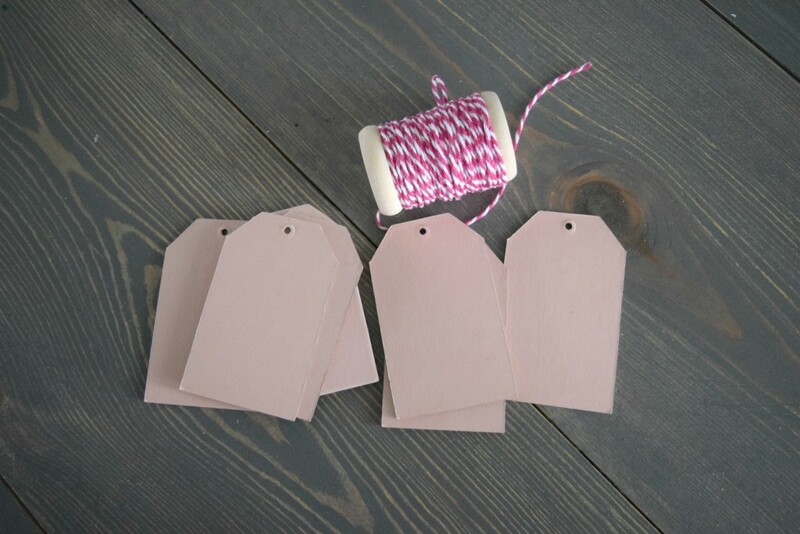 I purchased these tags and string when I was doing the dollar store challenge and created my heart garland. I had planned to use these in the garland but decided against it. I was wanting to create a family love tree when I began thinking about a few crafts for Valentines day, and thought these tags would be the perfect way to create that. I tied the strings around the tags. 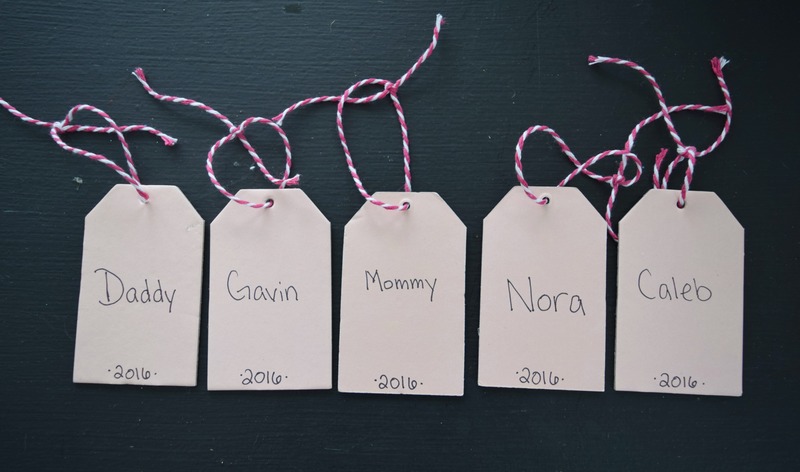 Then wrote each of our family members names on one side of these. Next, I called in the kids. In our house when we are calling for the kids we yell “assemble the Minions!! !” and they always come running and giggling. I have a gaggle of kids who are Minion-like so it works. 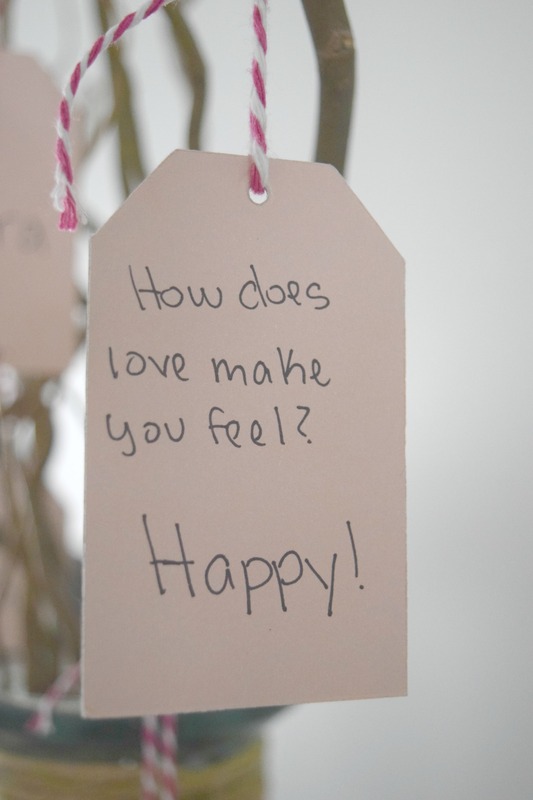 I asked each family member one question “How does love make you feel?” Their answers were un-filtered and pure perfection – safe, happy, I want to cuddle people. I love getting a glimpse into their minds and learning more about their emotions is such a fun treat as well. I wrote each of our feelings on the back of our name tags. I had three left over and wanted to write some messages and quotes of love. I did what any person who writes for a living would do… Googled “Love sayings” I found a few I really liked. Then I remembered a few favorite quotes from childhood books and songs we like. 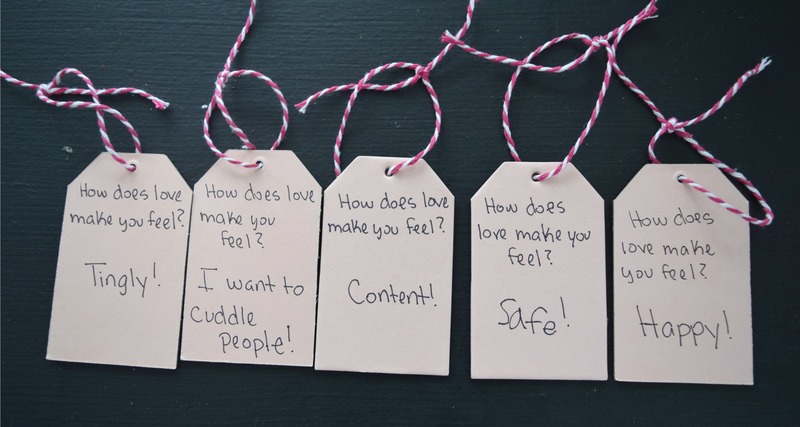 I wrote these phrases on the front and back of the three extra tags. 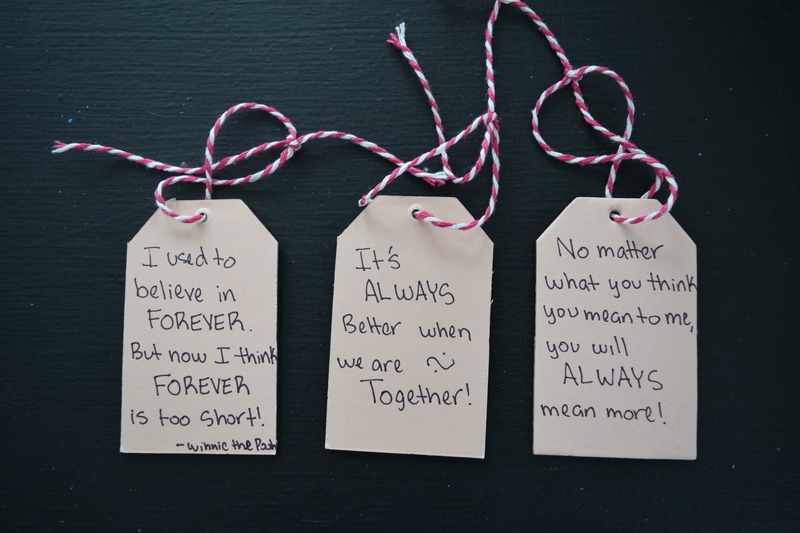 I thought of these as tiny messages to my kids, to our family. 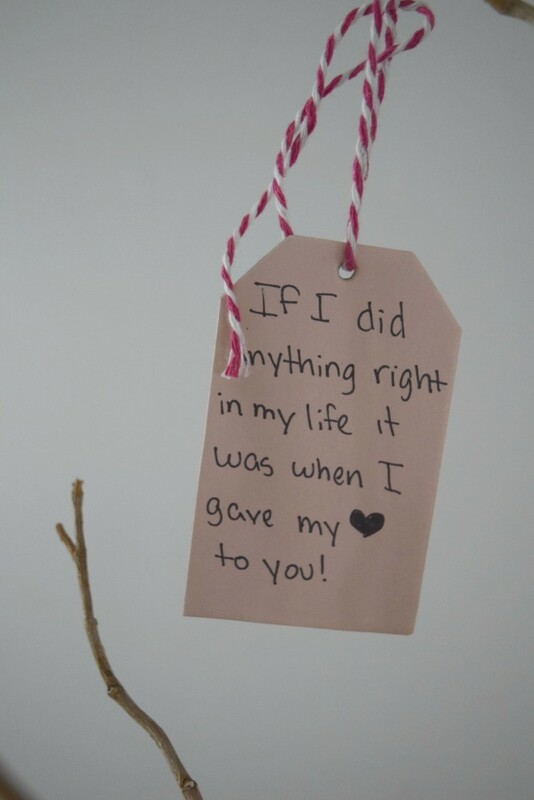 Putting them in this love tree and making the sentiments ring true. A hope for our family and explanation of our love. 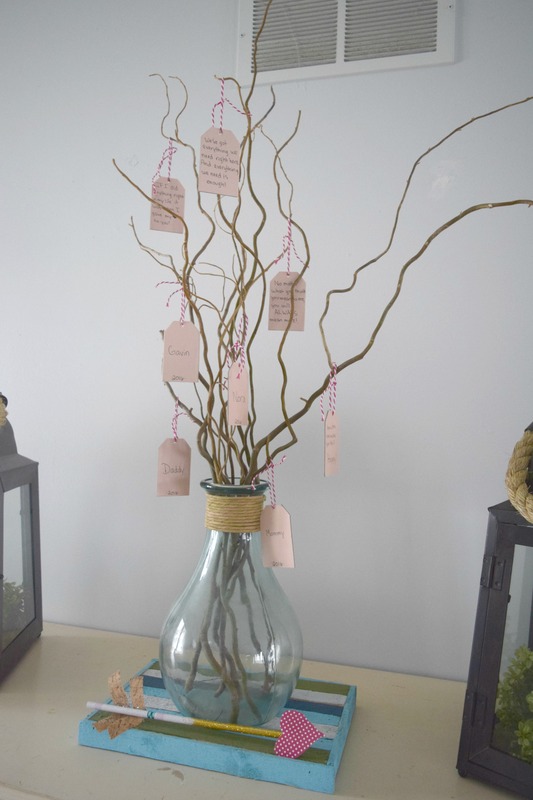 I know realistically I might be the only one to read them ever again, but it felt good to put these sweet, profound, and lovely words in this tree with my own families feeling on love. 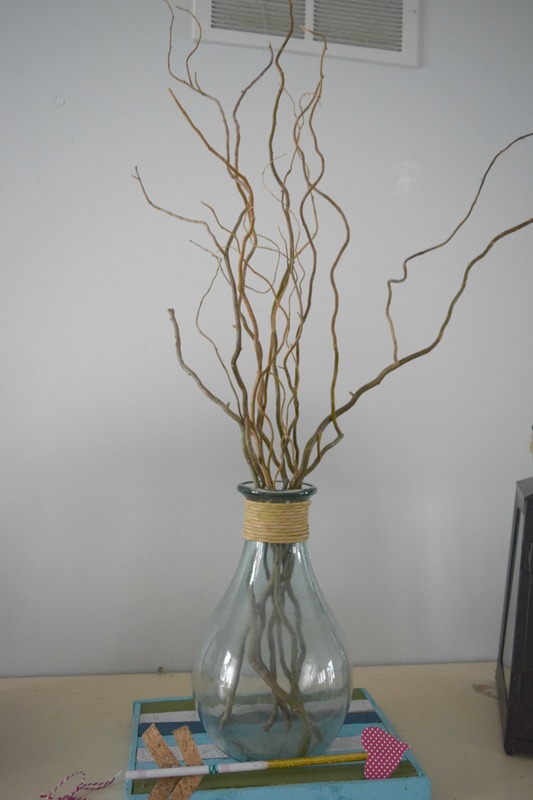 I have this vase and sticks that I always seem to move around my home. I decided the landing place this year is in the dining room and the roots to our Family love tree,a simple Valentines day craft. 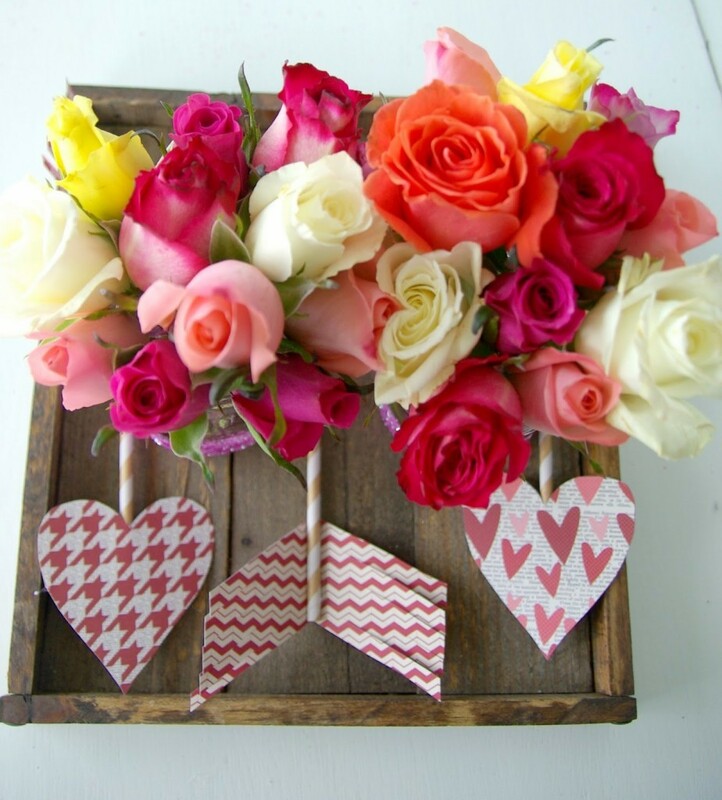 As I said, I keep the Valentines day decor simple and easy. 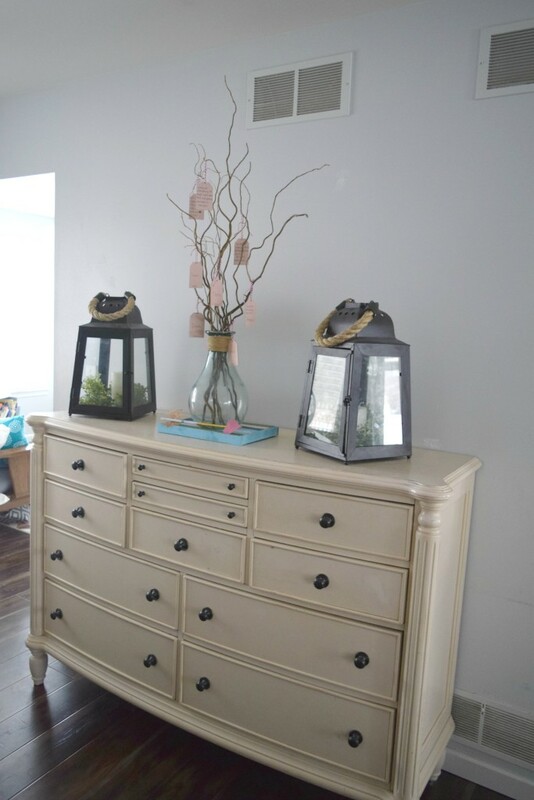 After the madness that is Christmas and then we move right into Nora’s birthday in January, I am always needing a little down time of decorating. 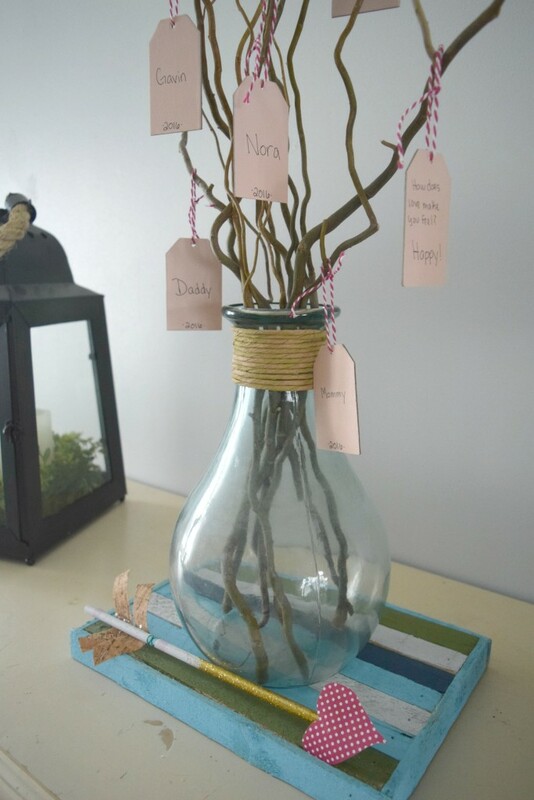 This family love tree is really simple to create, can be done absolutely anyway you want. The only thing that matters is the words, the conversation you have with your kids, and the emotions put into it. This is my favorite kind of craft, one that gives so much more than just pretty. 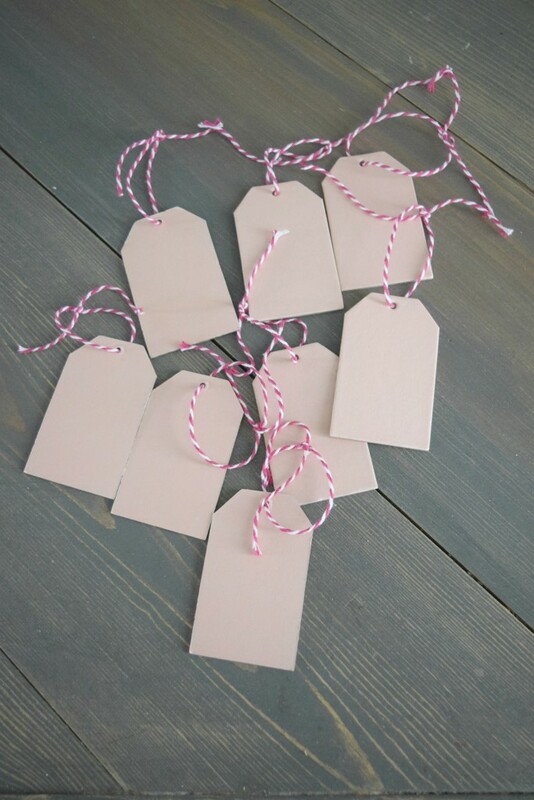 A few things to remember when making your own Family love tree, put dates on the tags. Also, if you have little ones explain the idea of it and give a few examples but really try to let them dictate what they want to say. My youngest said the ” I want to cuddle people” line and that does not exactly finish the sentence of “love makes me feel”. But he has always been all about touch, he holds hands, cuddles, hugs, needs to be calmed down with touches. This is so him at the age of four and it is perfectly him at this stage of life. Try to keep the authenticity in mind with this. A perfect answer is not what you are going for, simply their answer is what you are going for. I actually have a notebook that I write in that each child will receive a copy of when they get older. 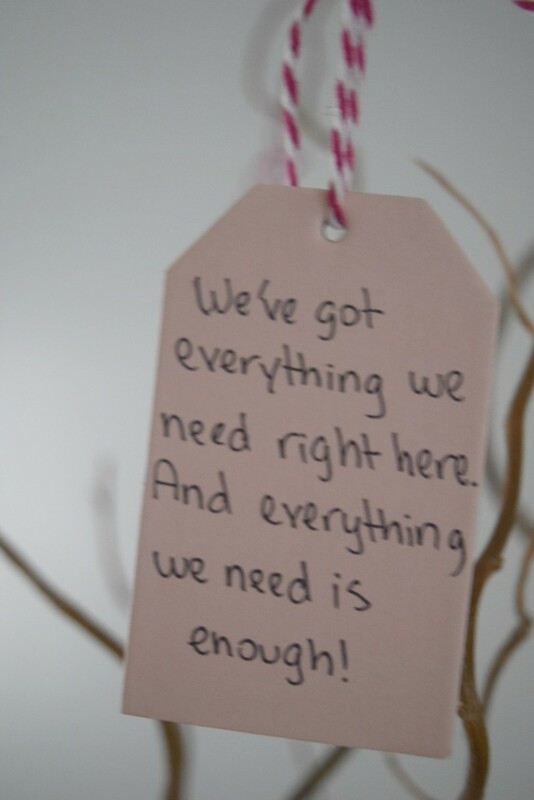 I write in it sweet quotes, song lyrics, or poems I come across that reminds me of them and my love for them as a Mom. I am a writer but I find words in general so inspiring. Dale and I also write in a notebook to each other occasionally with song lyrics of our love. I am a long winded person with a lot to say, Dale… not so much. He does however enjoy expressing his love using other peoples words. 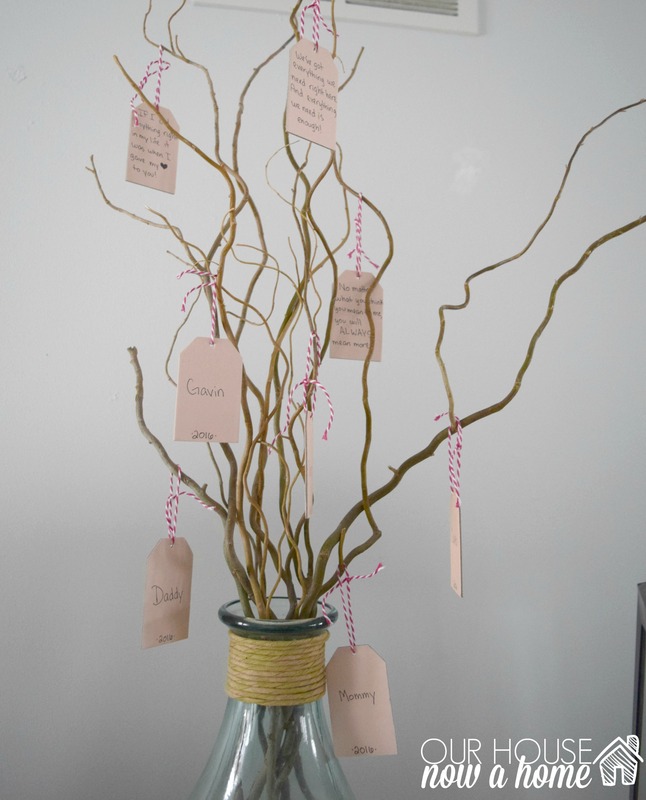 With your own family love tree you can write a few quotes of your own or find some favorites from other sources. The emotions behind it are what matters. I feel like lately I have shared a bunch of simple crafts and small projects. I know some love that stuff and others are sitting there wanting the big reveals. “Show me the money” you are screaming, “money” being big time home renovations. I hear you, I get you and too dream of a massive home renovation, I am still working on the laundry room and a few other larger scale projects. Those take time, which I am in more need of. 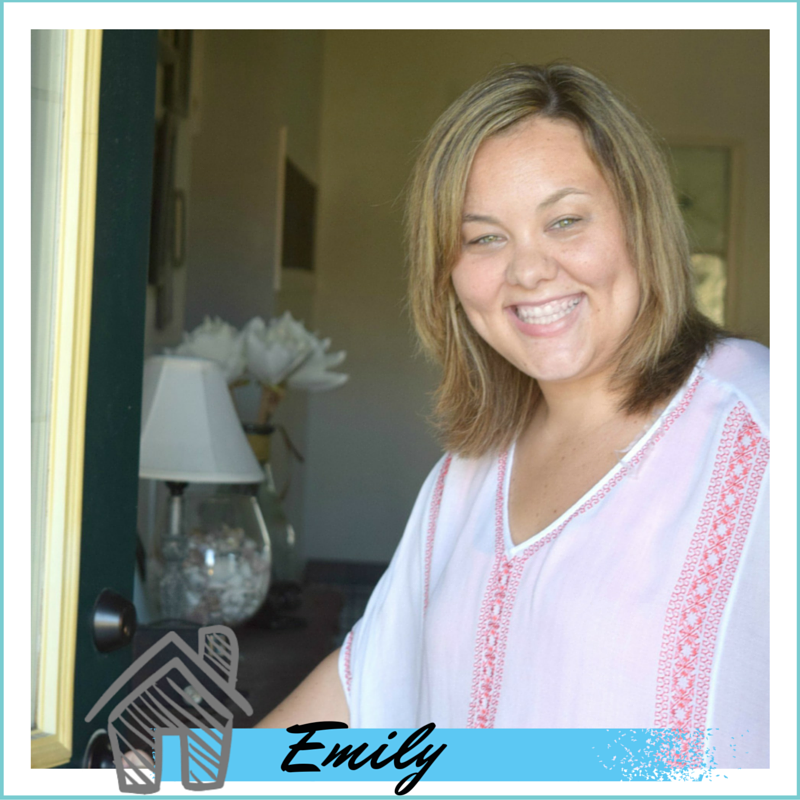 This week I have a bunch of crafts planned and a giveaway! I am hosting my first giveaway of something I made, and am super excited to share it. A few new ideas and things happening around here. As far as Valentines day, I am always happy with flowers. You know how some woman are not into them and claim they are a waster of money? I am NOT one of those woman, give me all of the flowers! 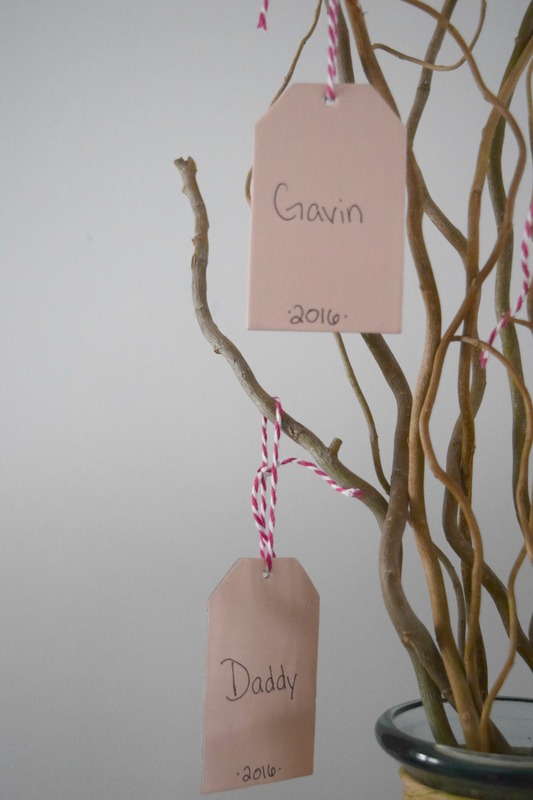 This Family love tree, a simple Valentines day craft is just what we need around here to start the celebrating. Who says sharing your love has to be saved for one day? We have love all year long around here, and this tiny tree is a great way to show that and engage my kids in that wonderful conversation. Letting them know they are loved fully, completely, and with proof from a family love tree! Are you big into Valentines day? Any family celebrations of traditions you have during this time? 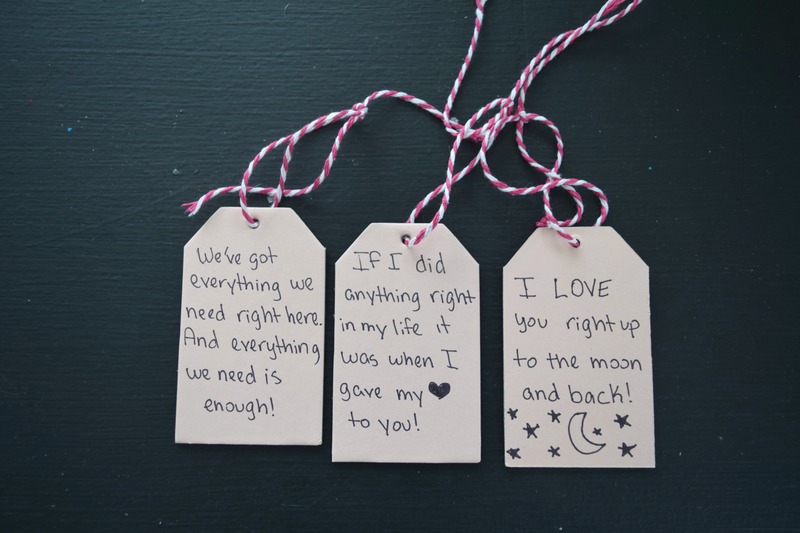 I love this idea, how adorable! I can’t wait to start doing these sorts of things when my daugher is older (she’s now 9 months :)). Thank you! Congrats on your little one! Such a cute idea! I’m not super into Valentine’s day, but I like to acknowledge it. This is a great way to do that! This is a really simple way to acknowledge the special and non-commercial parts of the holiday! Oh my goodness. This is the cutest thing ever! Thanks for sharing! What a great idea! Love how you involve the kids in this!